Perhaps one of the secrets of success for Miami’s premier independently-owned bookstore is the unique, fun and fresh menu at The Café at Books and Books. 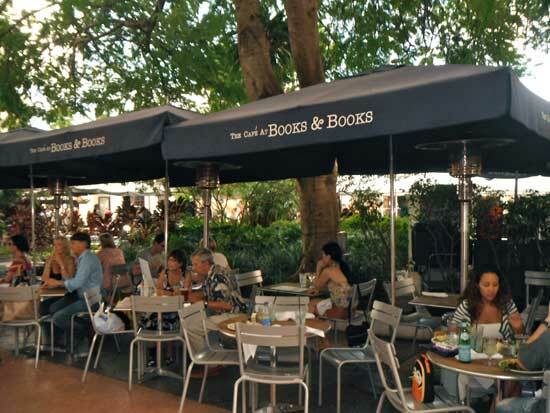 With cafes at three locations, (Coral Gables, Lincoln Road and Bal Harbour Shops), Books and Books is a must on your reading and eating list. We visited the Lincoln Road location for lunch, spearheaded by Chef Bernie Matz, and indulged in a variation of lunch options. Chef Matz offers a modern twist on comfort food that has kept locals and tourist gravitating to this spot for years. 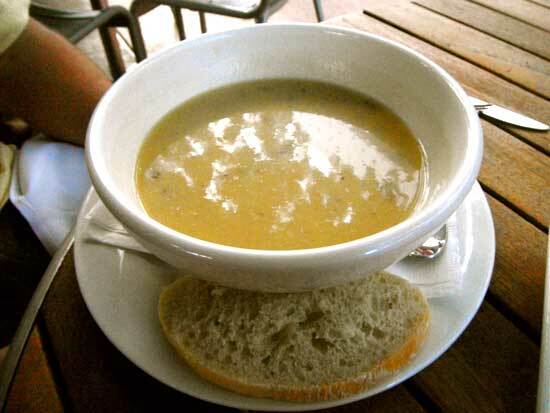 We started with a Yellow Squash Coconut Soup ($4.95) that was creamy and bold, and when accompanied by the Black Bean Hummus ($5.95) and crispy crackers it was a perfectly-portioned combination of rich in flavors. 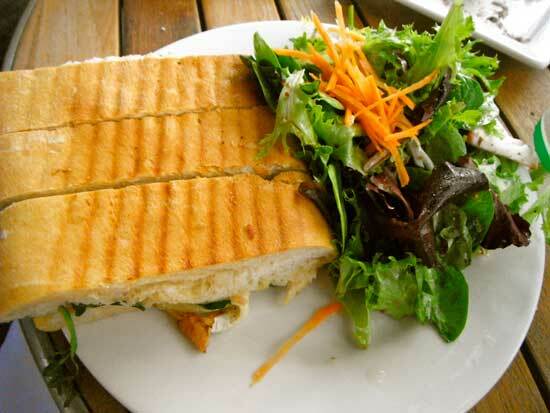 We then ordered from their selection of grilled sandwiches pressed on freshly-baked Ciabatta bread. 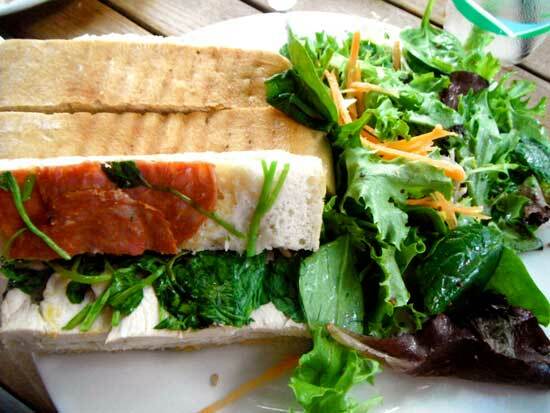 The sandwiches were served in very generous portions and with our choice of mixed field greens or fresh cut fries. We munched on the South Beach Grilled Sandwich ($11.95), stuffed with hand-carved roasted turkey, Brie, pear, watercress, and mango chutney butter. It was a delightful combination of sweet, crunchy and chewy all in one. We also ordered The Chicken CLT ($10.95), which had grilled hand-carved chicken breast, chorizo, watercress, and tomatoes. The ingredients were consistently fresh and savory. Finally, we couldn’t pass on the Smoked Chicken and Grilled Cheese Panini ($12.95), which quickly became our favorite, with caramelized onions, white cheddar cheese and guava-BBQ sauce on the side. Delicious! 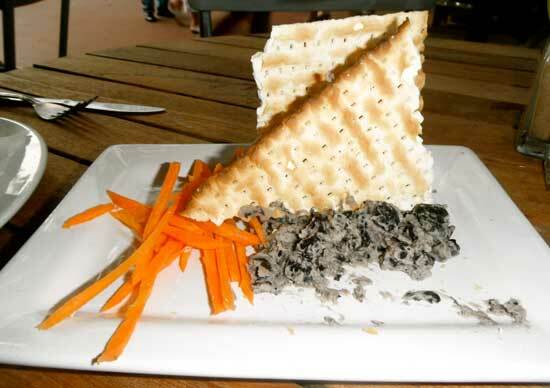 The menu offers a variety of dishes for lunch and dinner using top quality, all-natural ingredients. From mariscos and tapas to salads and burgers (the Goat Cheese and Roasted Red Pepper burger sounds amazing)! There’s even a special vegan section made with Organic Tofu & Wild Mushroom Stir-Fry and Grilled Organic Tofu Fajita Wrap. If the great food isn’t enough to reel you in, the people watching and affordable prices in an otherwise expensive area will seal the deal. And the impeccable service and cool Miami breeze don’t hurt either. 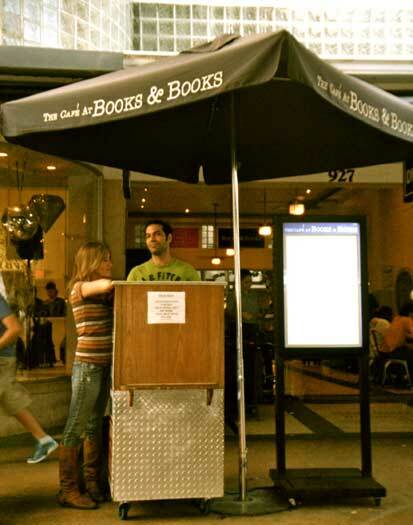 Note: Books and Books’ cafes offer similar menus; some items vary by location. The Bal Harbour location serves most a variety of coffee blends and drinks, along with pastries and some sandwich selections. Prices range from $4.95 – $14.95. Hours: Sunday through Thursday, 10 a.m. – 10 p.m.; Friday and Saturday, 10 a.m. – 11 p.m. Hours: Sunday: Monday through Saturday, 10 a.m. – 9 p.m.; Sunday, noon – 6 p.m.
thanks Gio for the video! awesome addition to the post on “Books and Books” on Lincoln Road.